Dr. Val Nardo, Ph.D., LMT, CRC, has been a vocational consultant Florida for over 30 years. He is currently a national seminar instructor/ceu provider for massage therapists and has conducted more than 200 seminars since 2008. He is currently a Florida licensed and Nationally Certified massage therapist. He is a certified personal trainer and a holistic stress management educator/consultant. Dr.Nardo holds a Masters in Education form Coppin State University, Baltimore, Maryland and a Ph.D. in Natural Health from Clayton College, Birmingham, Alabama. 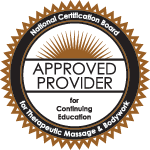 Dr. Nardo obtained his massage training through the Academy of Healing Arts in Lake Worth, Florida. He is also a Reiki Master.